How we could reach the moon without an iPhone? Few people think about if after flushing the toilet each morning, but the processing and disposal of human waste is actually a $100 billion business. Check this infographic how mint.com take a crack at the economy of sewage in America. 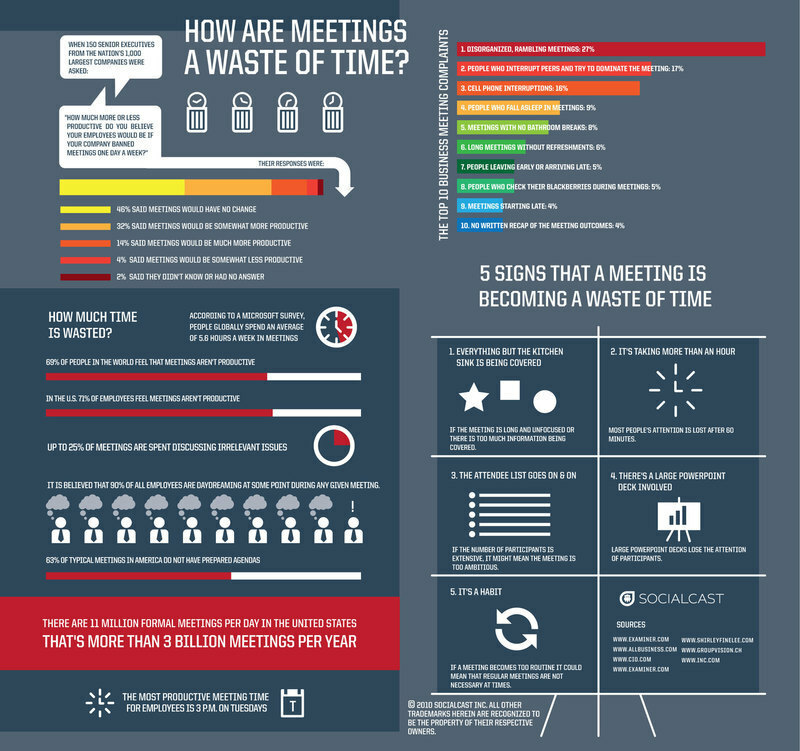 How are Meetings a Wast of Time? Meetings are often a waste of time in the Enterprise. Every employee has sat in countless meetings that drone on – meetings where you’re not really needed, meetings about mundane details of the business, even meetings to plan for future meetings. With an estimated 11 million formal meetings per day in the United States, corporate America has been held hostage by 3 billion meetings per year. This Infographic illustrates it nicely. Humans have found a diverse number of ways to ruin one of the earth's most beautiful resources. Everything from biological waste to nuclear reactors are being dumped in the ocean. 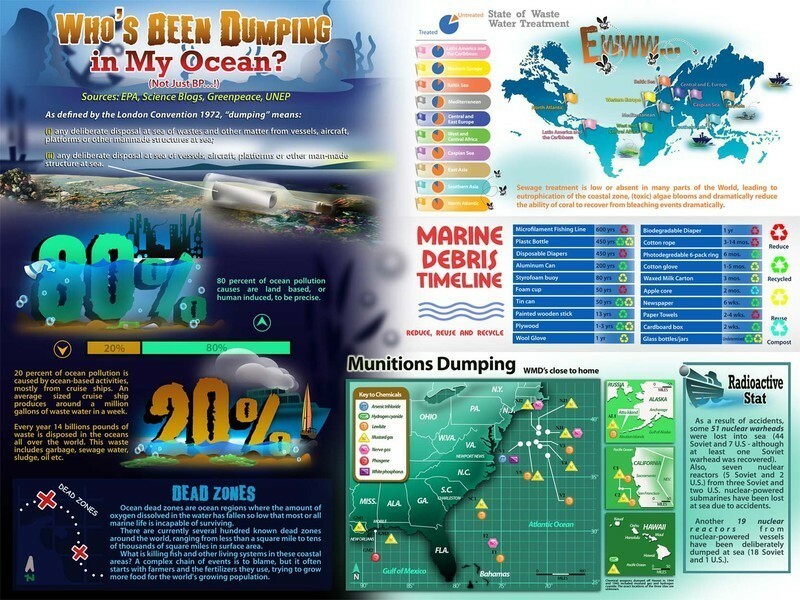 This infographic will reveal a few types of ocean dumping. 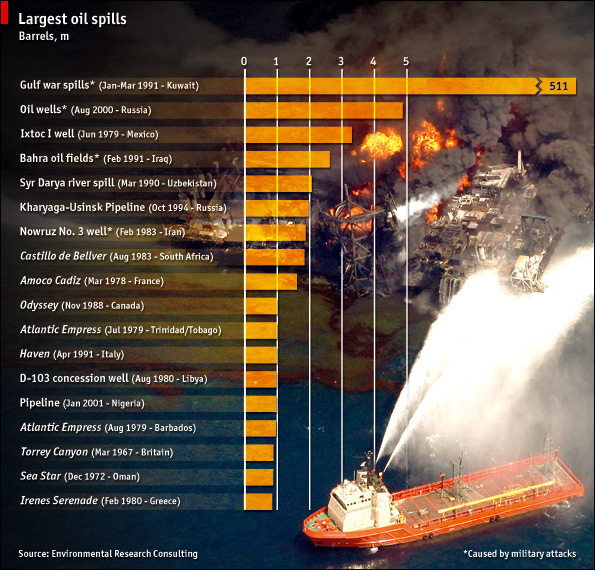 This is a topic that is on all of our minds and in the media – thanks BP – but oil is just the tip of the iceberg. Mother Nature is not happy! How much time is wasted on loading unnecessary data? When you visit a website, how much time does the site waste loading unessential data? 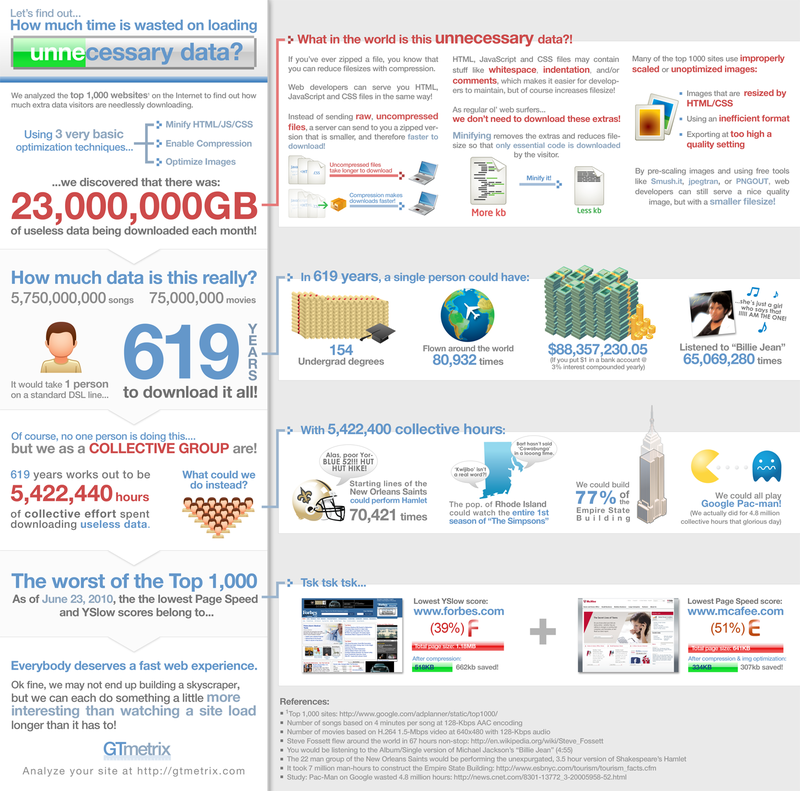 Well, the folks at GTmetrix.com have a created an infographic to help answer this question. They based their graphic on data analyzed from the top 1,000 websites on the Internet. New research this week estimates that food wasted by the US and Europe could feed the world three times over. Food waste contributes to excess consumption of freshwater and fossil fuels which, along with methane and CO2 emissions from rotting food, impacts global climate change.